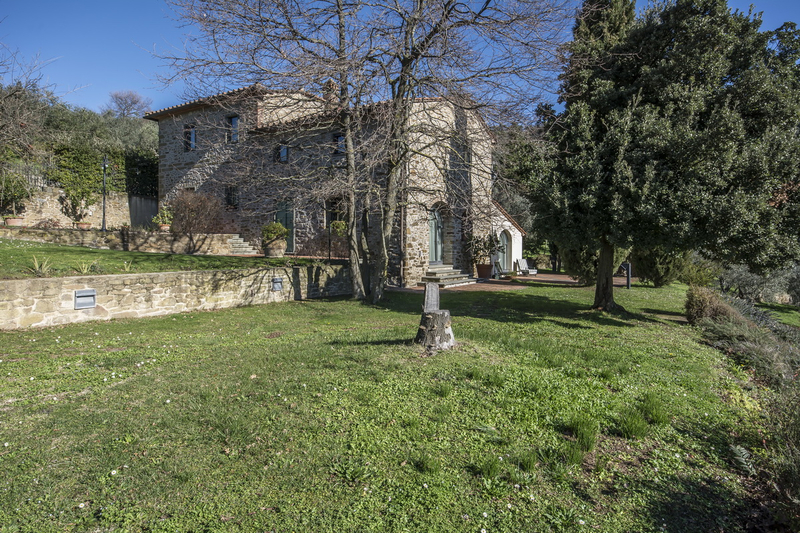 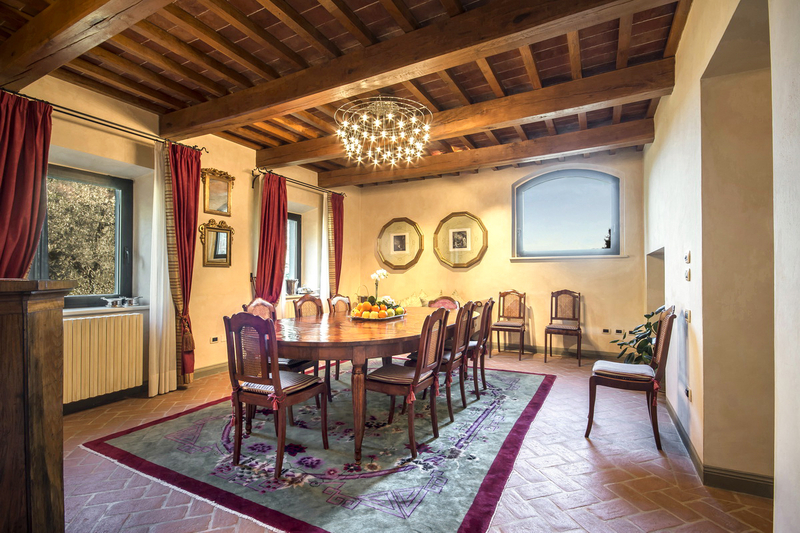 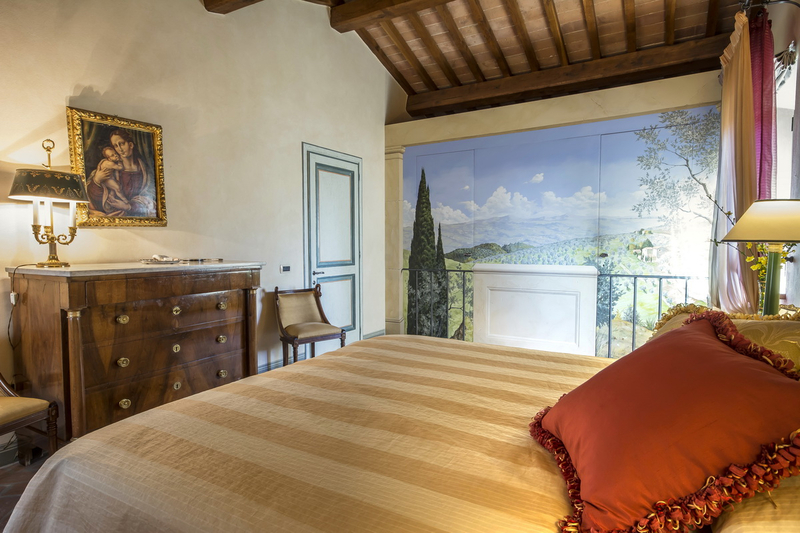 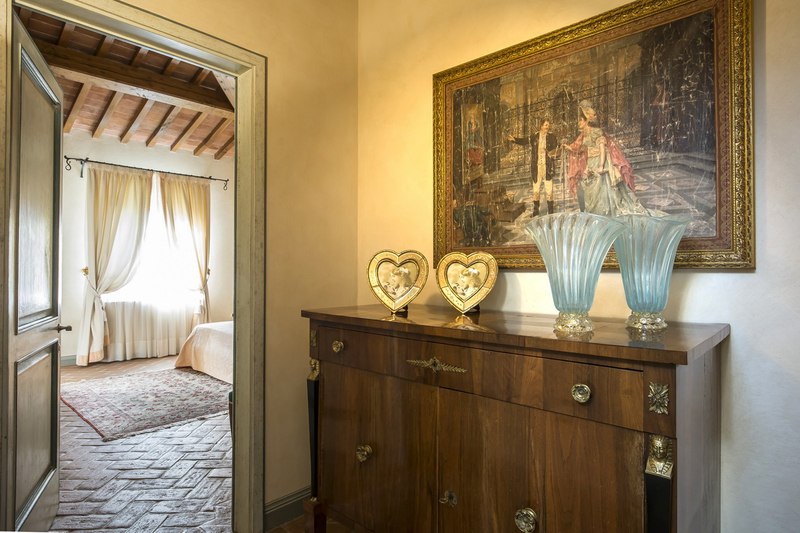 Casale Piovanello is for sale just 4 km from Vinci, a historic medieval town and birthplace of the famous Leonardo. 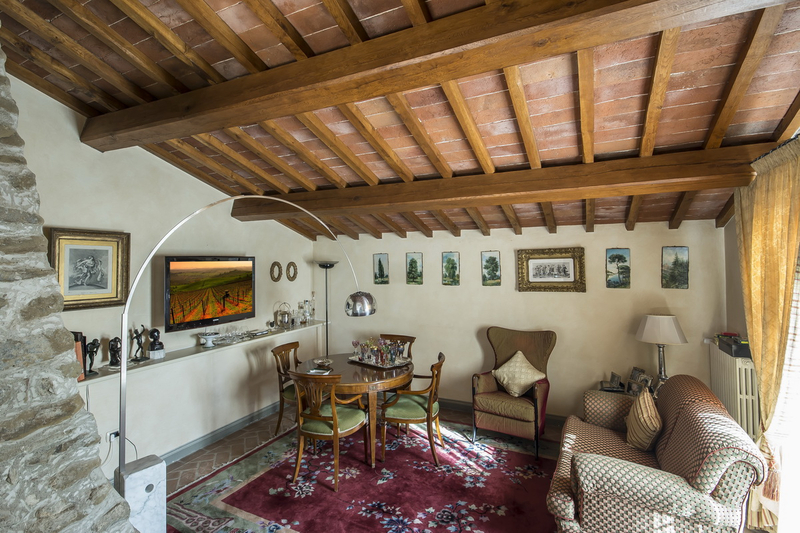 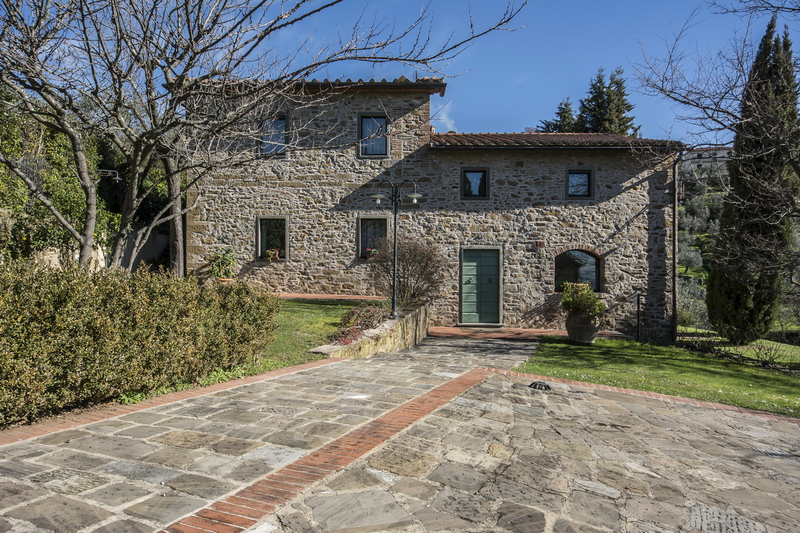 The property comprises a farmhouse, with total surface area of 377 sq.m over two floors, and a small annex of 37 sq.m, surrounded by around 1 hectare of land, with 200 olive trees. 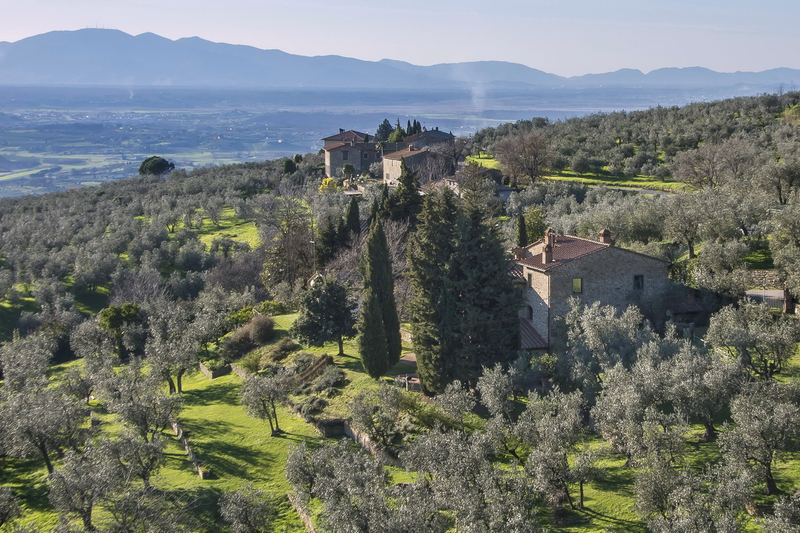 It is situated in the Northern area of Tuscany, in a hilly and panoramic location, surrounded by land rich in olive groves and vineyards. 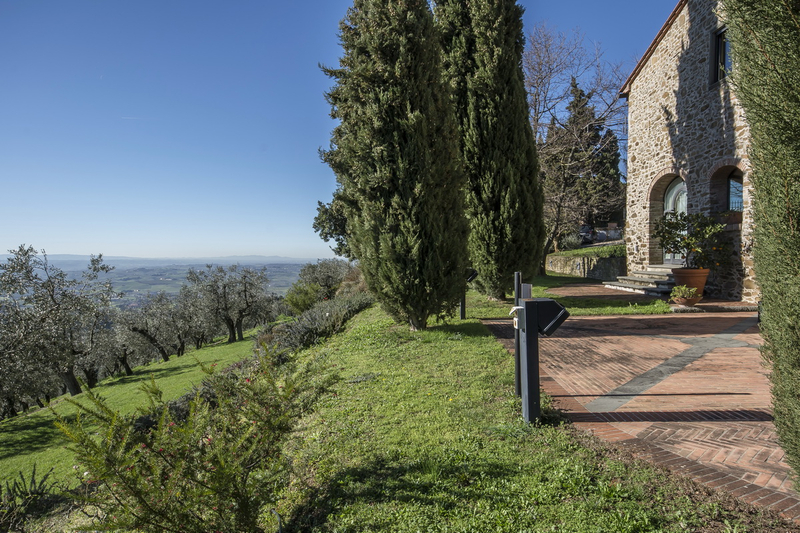 The area is convenient and unisolated: Montecatini Terme (23 km), Pistoia (28 km) and Florence (40 km) are around half an hour away by car, while the Tyrrhenian coast and other important Tuscan towns such as Lucca (52 km), Pisa (62 km) and Livorno (64 km), are one hour away by car. 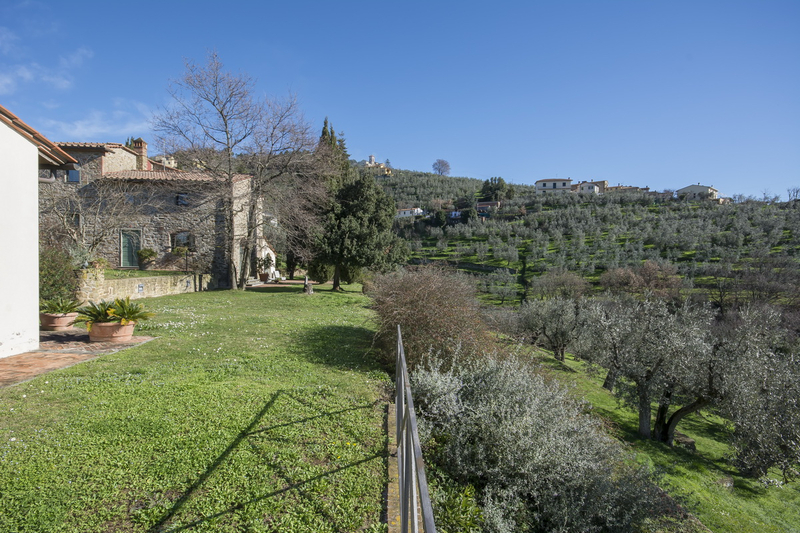 The nearest airports are Florence, at 32 km (a little over half an hour by car) and Bologna, at 130 km (an hour and a half by car.) 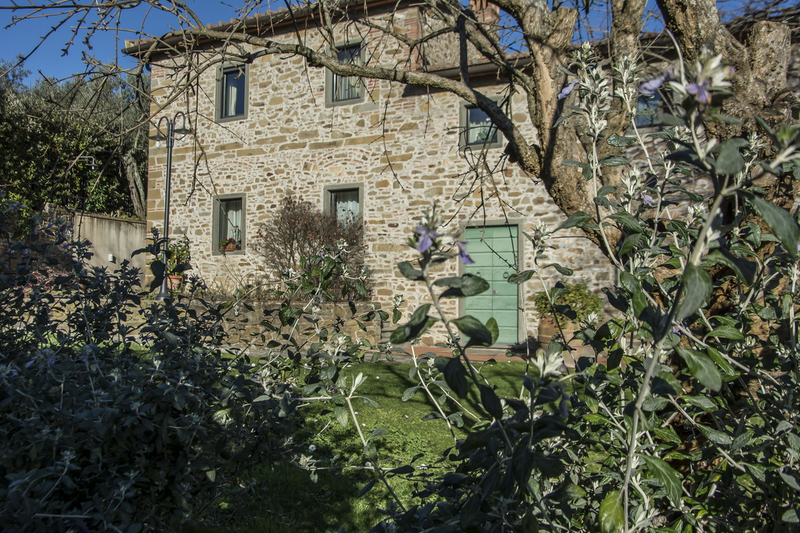 Description of buildings The farmhouse, with a total surface area of 377 sq.m, has two floors: on the ground floor, the living area comprises an entrance which opens into a large hallway/sitting room with fireplace, a large living room with window overlooking the valley, the studio (which could be converted into another bedroom), a further sitting room/dining room, the kitchen with fireplace, a bathroom and some useful store cupboards. 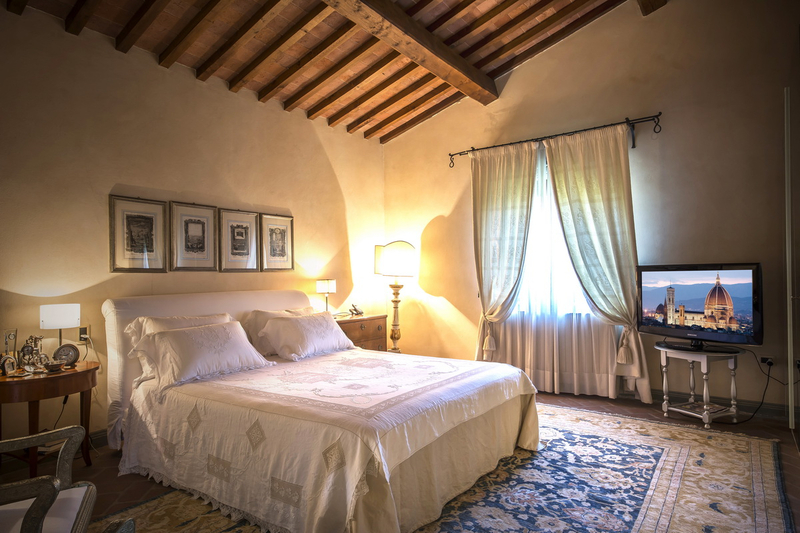 On the first floor, there is the sleeping area, with a sitting room and 4 large bedrooms with private bathroom. 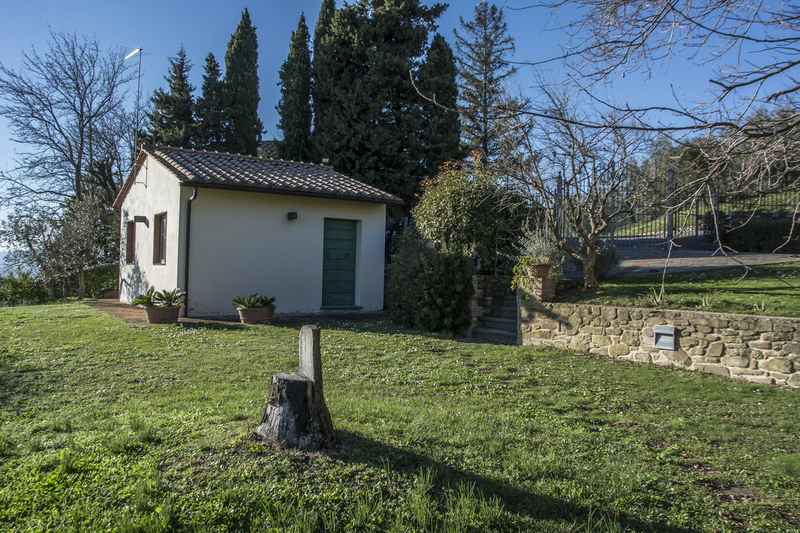 Not far from the house, there is a little annex of about 37 sq.m, currently being used for storage, with a bathroom. 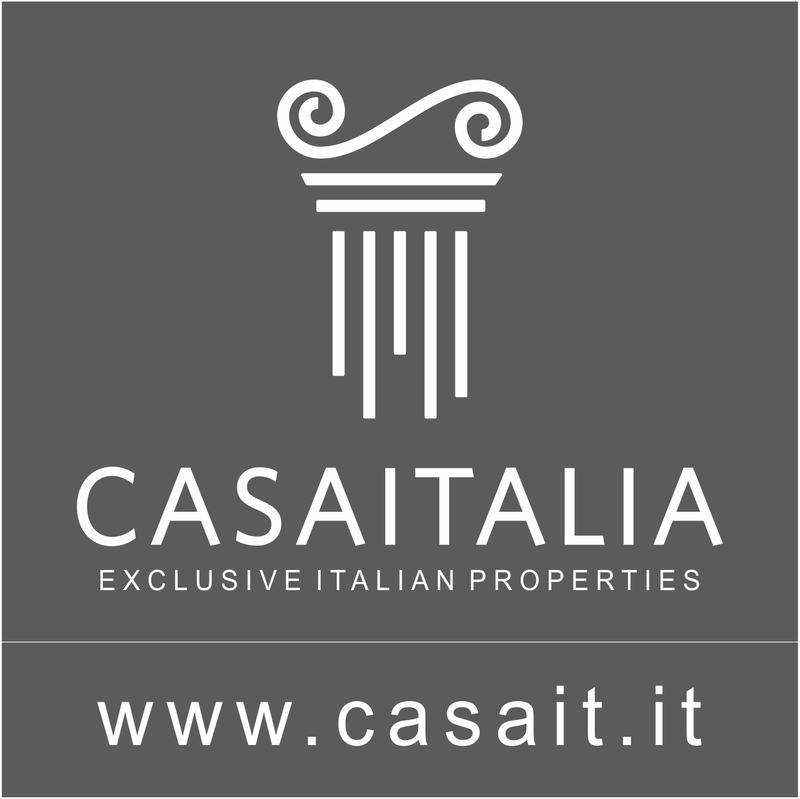 State and finishing Casale Piovanello is in perfect condition. 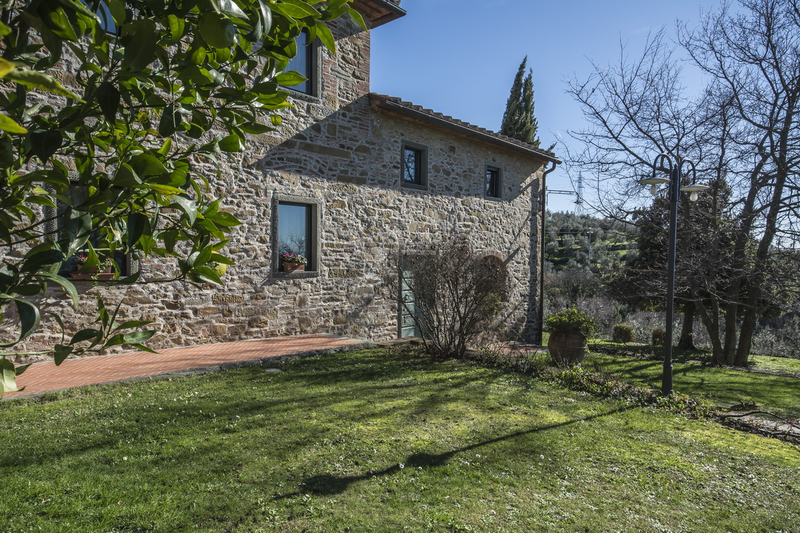 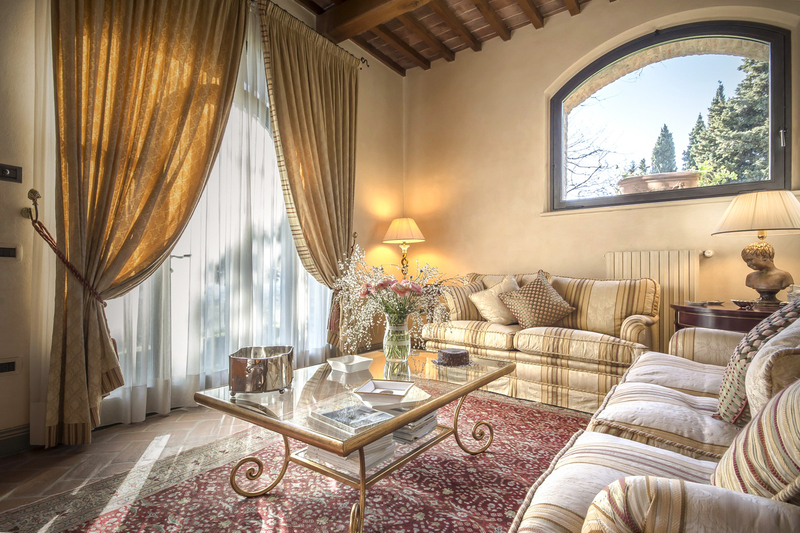 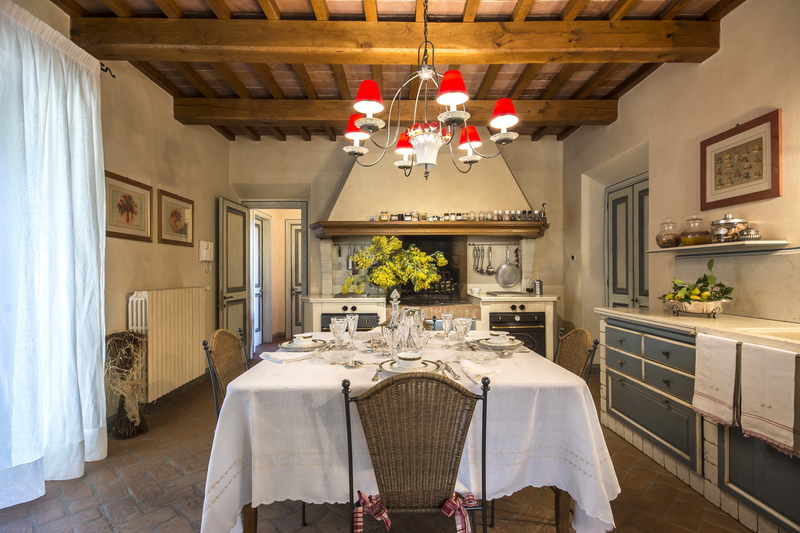 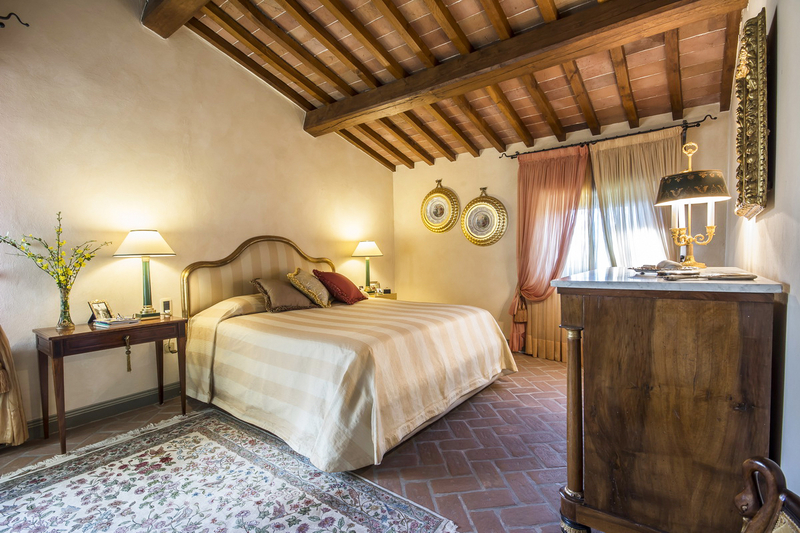 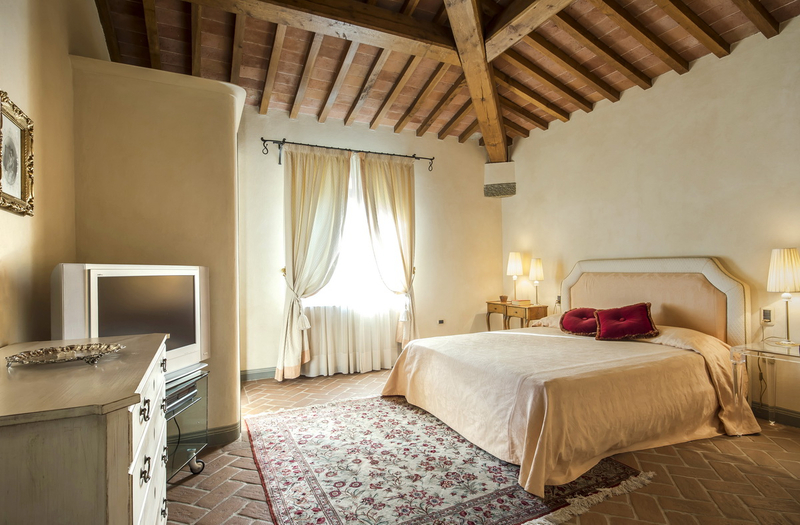 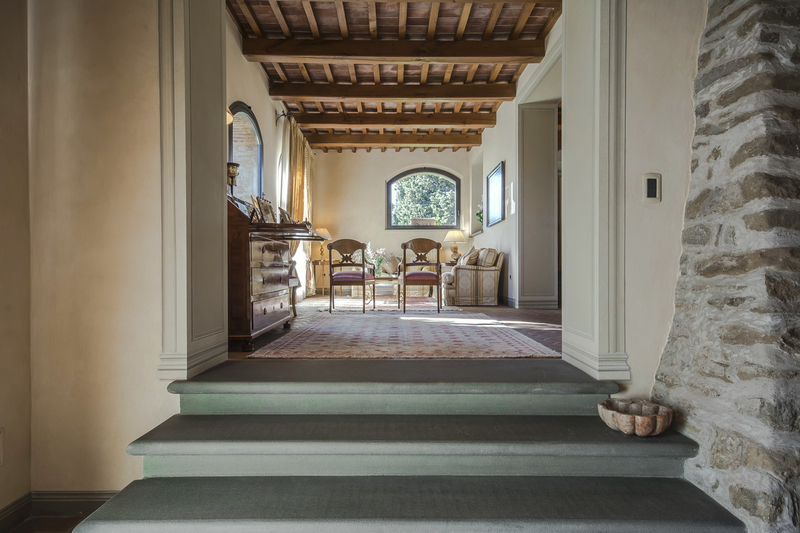 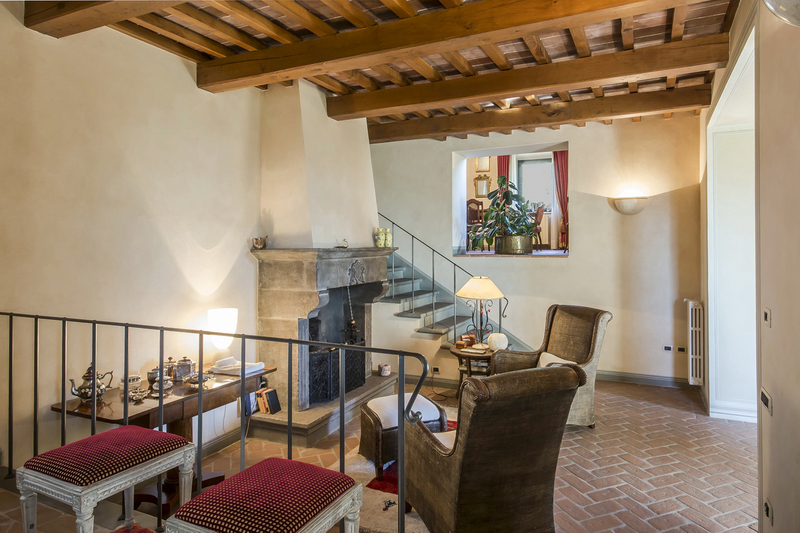 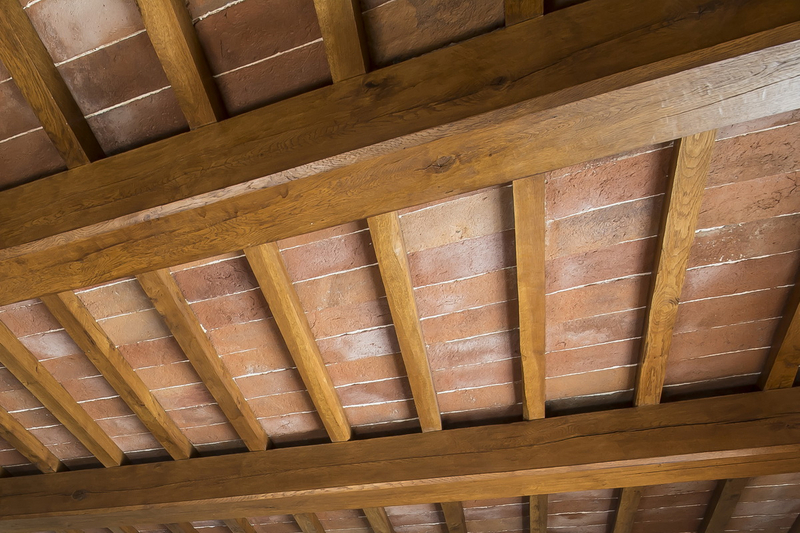 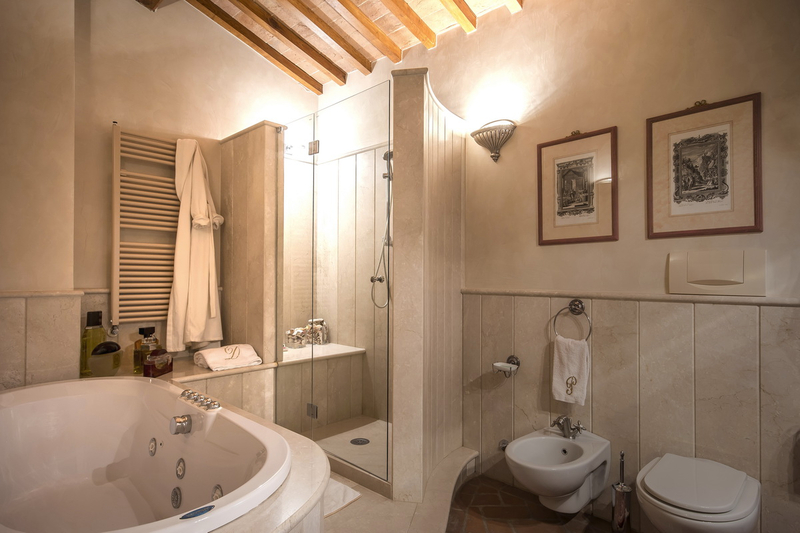 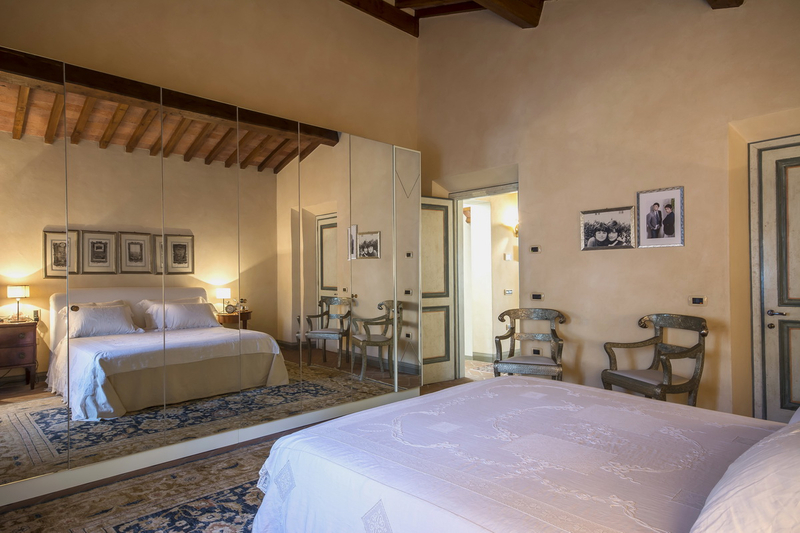 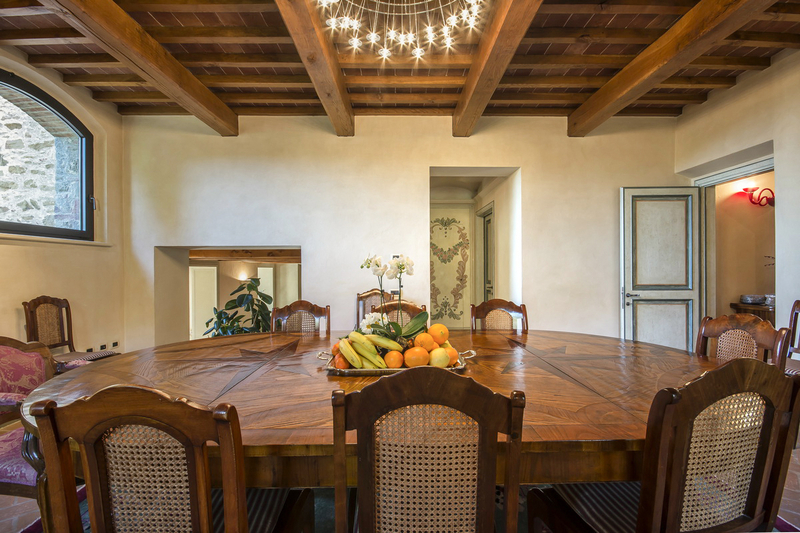 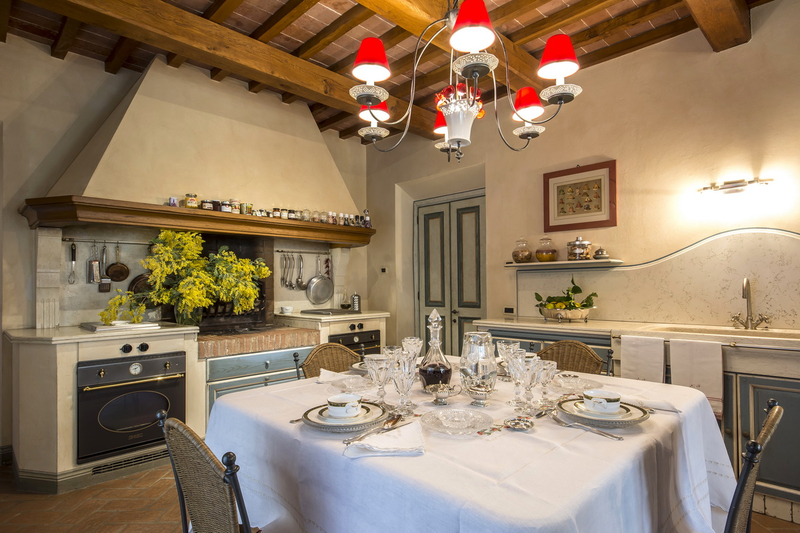 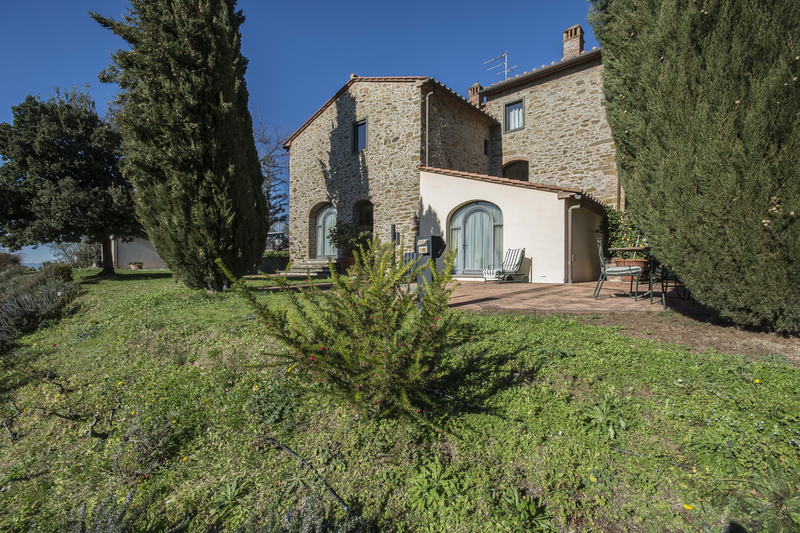 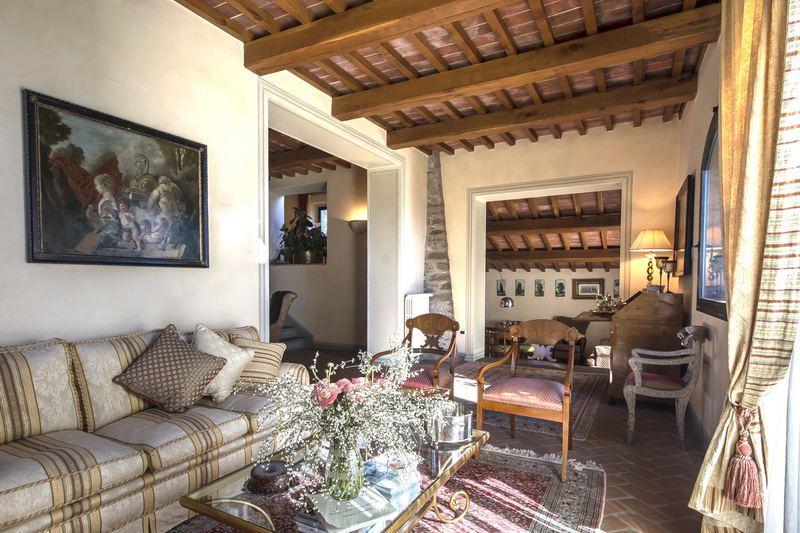 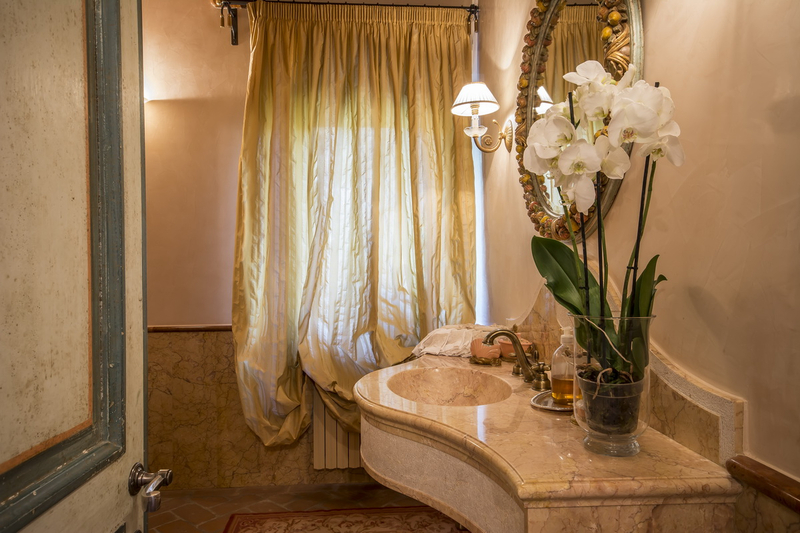 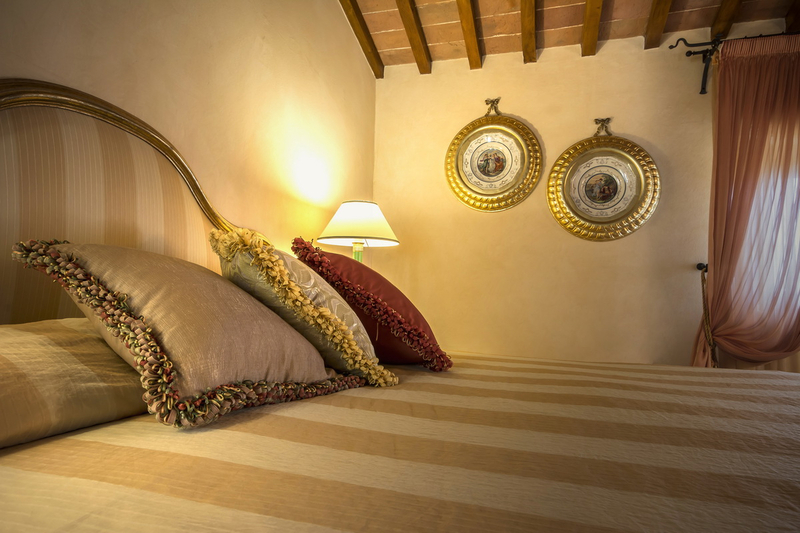 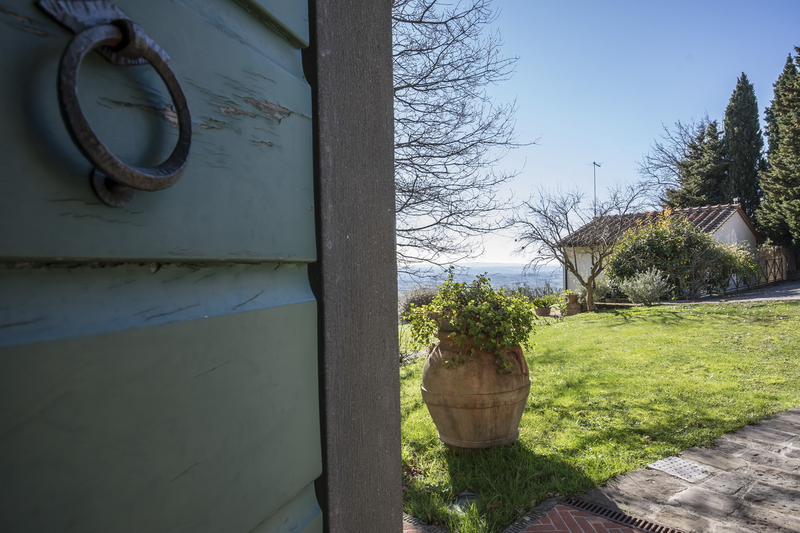 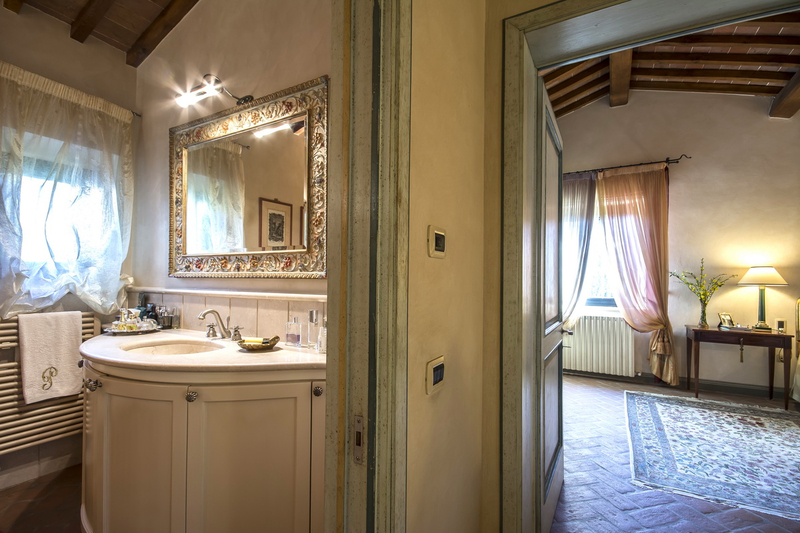 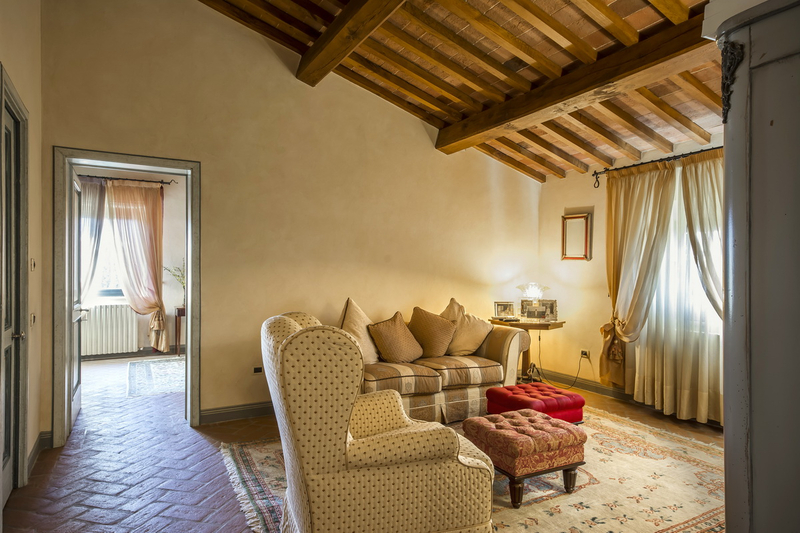 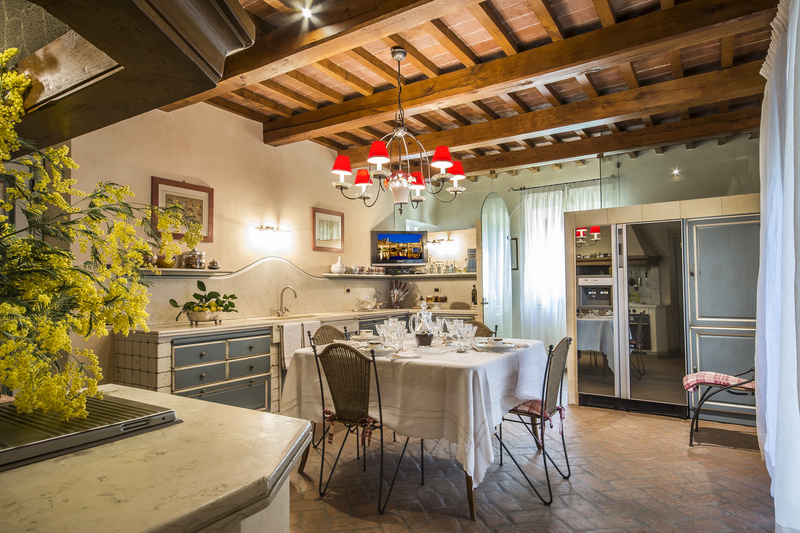 Outside, it has the typical features of a Tuscan farmhouse: exposed stonework and tiled roof. 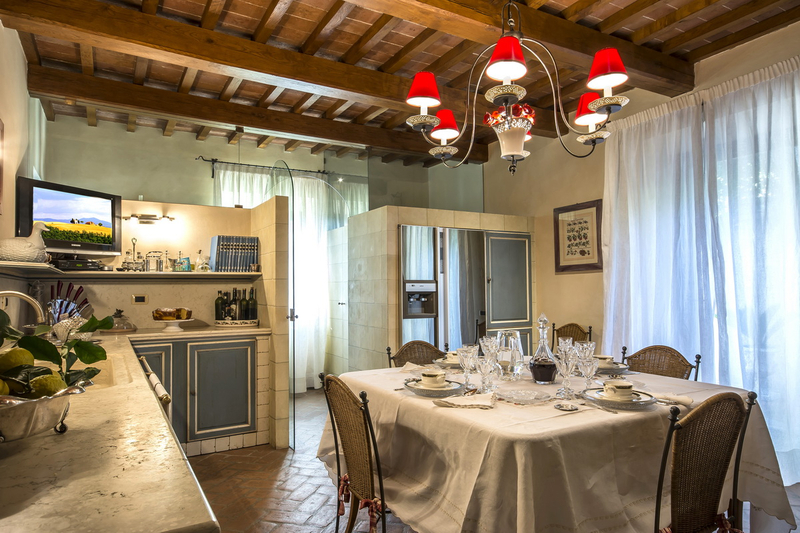 Inside, there are tiled and beamed ceilings, tiled floors and a traditional brickwork kitchen with fireplace. 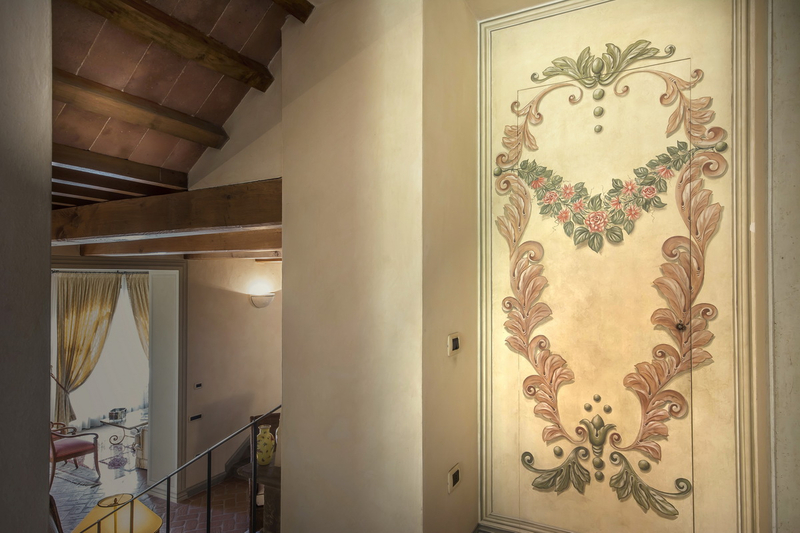 Great attention has been paid even to the smallest detail: in some of the walls there are small areas with exposed stonework, with other features such as the internal fittings in painted wood in keeping with the decor and the furniture. 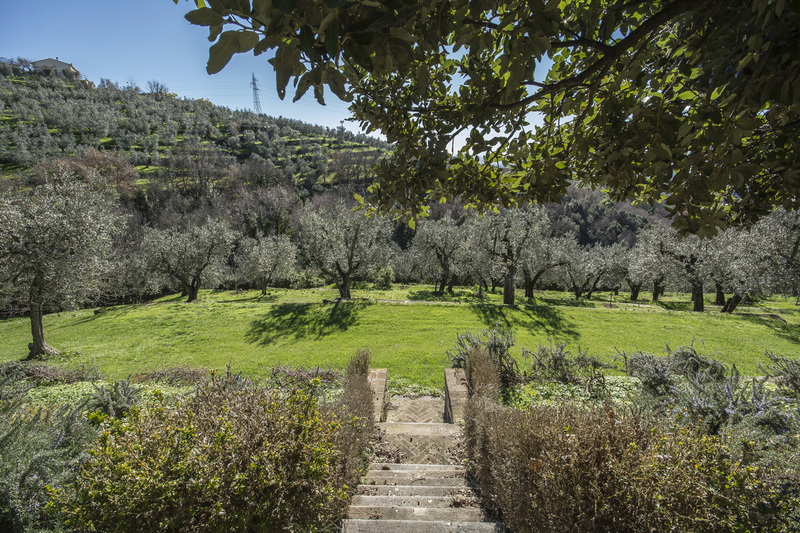 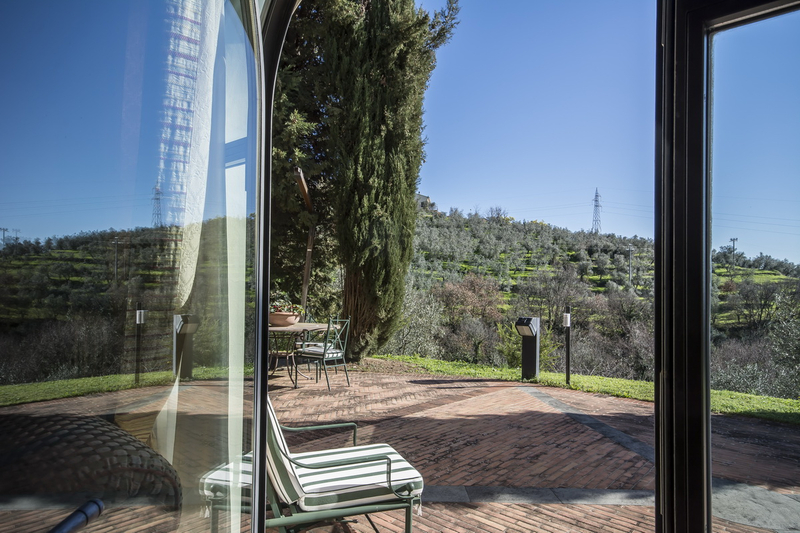 External areas The property is surrounded by around 1 hectare of private land with hills and slopes, with the flat area around the house being used as garden, with an olive grove lower down with 200 fertile plants. 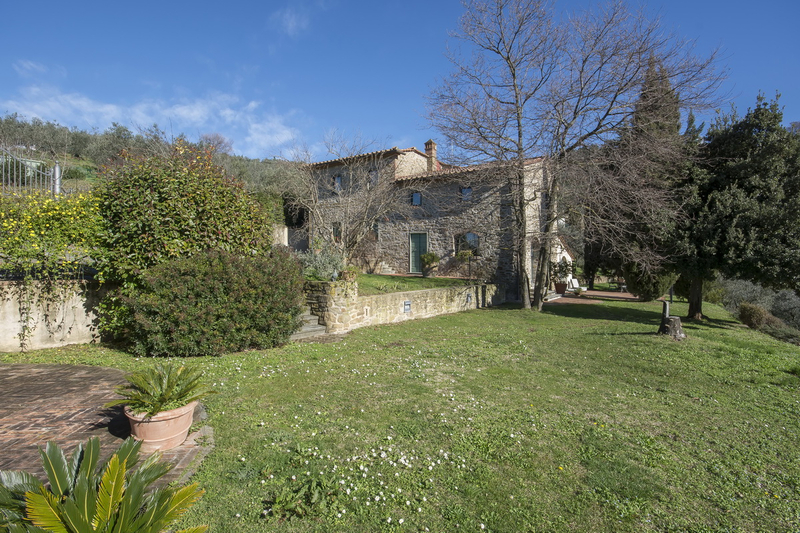 It would be possible to build a pool on the land, with the proper planning permission. 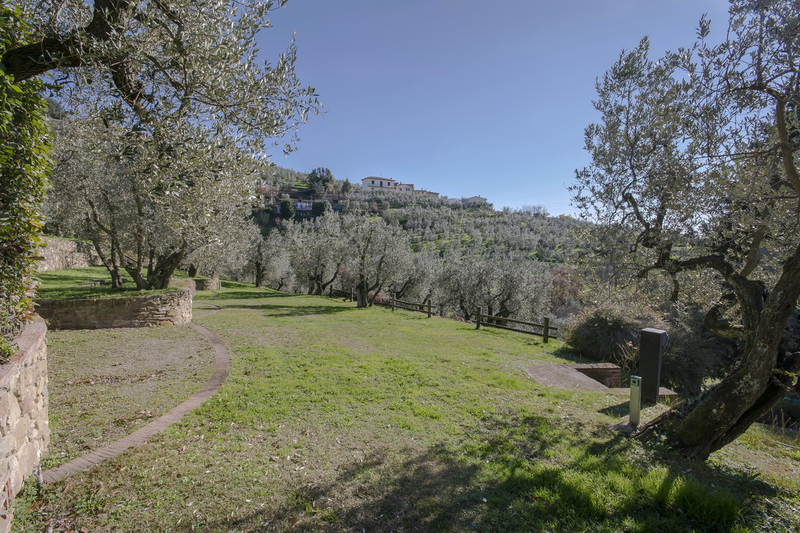 Use and potential uses In a panoramic, unisolated and central location in relation to the important towns in Tuscany, and less than an hour from the sea, Casale Piovanello is perfect for those looking for a home in which to spend long holidays close to nature, and for those looking for a small outdoor area that they can care for themselves.